A homeowners association for an exclusive neighborhood outside of Aspen has fired back in a legal feud over $900,000 in fines. Starwood Homeowners Association recently filed a counterclaim alleging the fines levied on a property owner are due to a construction project that remains unfinished after nearly a dozen years of work. The counterclaim also argues that Thomas Duckworth, the principal of plaintiff Epic View LLC, had paid less than half — $420,000 — of what he owes in fines, which were triggered by the languishing project. The HOA’s rules maintain that residential projects must be finished within 18 months of the onset of construction, according to the counterclaim. The gated Starwood community, where home prices reach eight figures, is the site of Duckworth’s project that received the HOA’s final approval to build in December 2005. In May 2012, Duckworth assured the HOA that the project would be done soon and agreed to pay fines associated with the lengthy period of construction, yet the home remains unfinished, the counterclaim alleges. “Mr. Duckworth and/or Epic View have subsequently failed to pay a total of approximately $480,000 in additional agreed upon construction delay fees, which have accrued due to the continued extremely unreasonable delay in completion of construction at the property,” says the counterclaim, which was served Tuesday on the defendant’s attorney in the matter, Corey Zurbuch of the Aspen firm Oates, Knezevich, Gardenswartz, Kelly & Morrow PC. Zurbuch has previously declined to talk specifics of the case. In its formal response to the allegations, the Starwood HOA also contends its board did not meet privately in March 2016 when it decided to fine Duckworth and Epic $120,000, one of four fines levied on Duckworth between March 2014 and March 2017. The Duckworth-controlled Epic View sued the HOA in March in Pitkin County District Court, seeking a judge’s order to waive the fines and refund the $420,000 to what it refers to as Epic View’s “predecessor,” who is Duckworth, a Chicago-area investor. The suit also says Duckworth paid the first three fines out of fear that the HOA would stop the project. The fourth fine, $480,000, was issued in March 2017. The suit also says that construction was suspended in late 2008 to mid-2010 because of “unfavorable economic conditions commonly referred to as the Great Recession.” Also setting back the project were delays in receiving approvals from Pitkin County and delays receiving LEED certification, the suit says. 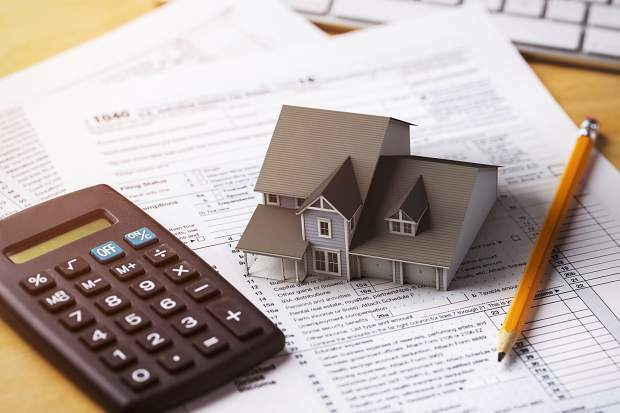 In March, Starwood HOA president Michael Solondz told The Aspen Times that they were seeking a resolution, but the time put into a house project is unprecedented for the community. According to the Pitkin County Assessor’s Office, the unfinished home has 18,951 square feet of livable space and sits on 2.4 acres of land. The home has an actual value of $7.6 million, according to the Assessor’s Office. Epic View was formed in June 2017, according to the Colorado Secretary of State’s office, and took possession of the property that same month through what’s known as a quit-claim-deed process. Property records show the property was conveyed to Epic View by Duckworth, whose name remains attached to the property’s tax bills.